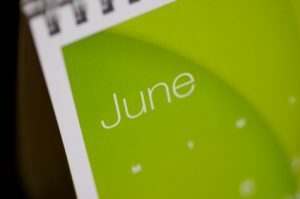 Welcome to your June newsletter. This month, we take a look at the proposed legislation announced in the Queen’s Speech and consider how businesses are likely to be affected. We touch upon the relaxation of employee share buy-back rules for businesses, intended to encourage take up of the employee-ownership model. We also talk technology and ask if your business needs a more modern approach to the way it operates. And in Your Money, we discuss interest-only mortgages after research warned that some borrowers may be unable to fully repay their loans. High speed rail links: plans for the Government to build a new high speed rail link between London, Birmingham, Manchester and Leeds. Deregulation: The Draft Deregulation Bill will continue to reduce red-tape for businesses, including minimising health-and-safety regulations. Talk to us if you think you or your business may be affected be any of the new Bills. Evidence suggests that employee-owned businesses – those in which members of staff own a stake (often in the form of shares) in the business – are likely to show increased productivity and, as a result, increased profitability compared with those that do not. experience a significantly higher annual sales growth of 11.08 per cent on average, compared with 0.61 per cent. To promote the benefits and encourage take-up of the employee-ownership model, the Government is simplifying the rules for businesses wishing to buy back employee-owned shares when employees leave the business. advance approval of employee share buy-backs by shareholders, rather than on a case-by-case basis. Employment relations and consumer minister Jo Swinson said that hundreds of businesses stand to benefit from the reforms. Have you considered employee-share schemes as a way to incentivise employees and boost your business? Talk to us to find out more. Is lack of technology holding your business back? Research from the Federation of Small Businesses (FSB) has revealed that small businesses are spending an average of £3,500 a year on technology in a bid to grow and create jobs. a quarter said that greater skill levels and training would provide the incentive to spend even more on technology. only a third of businesses use a website to make sales. Are you making the most of technology in your business? We could help. Interest-only mortgages were popular during the housing booms of the early nineties and ‘noughties’. Typically, borrowers make monthly repayments that cover only the interest on the amount borrowed. The capital (the full amount borrowed) is then paid back when the mortgage term matures – typically after 25 years – using funds such as savings or inheritance, usually with the hope that the property will have increased in value. However, a recent report by the Financial Conduct Authority (FCA) warned that some borrowers with interest-only mortgages that are due to mature within the next seven years may be unable to fully repay their loan. Around 2.6 million interest-only mortgages will mature within the next 30 years, leaving over a quarter of a million unable to repay their loan. Whilst some are prepared for the shortfall, the FCA believes the number affected and the amount owed will be much higher than many anticipate. Of those surveyed, a shortfall would most likely be paid through savings (21 per cent), by downsizing their home (19 per cent) or by re-mortgaging (15 per cent). The FCA will now ensure lenders first contact all borrowers who are due to repay their mortgages in the next seven years, prompting them to re-check their repayment plans and to consider the options available to them. We can advise on mortgage repayments and help set up repayment strategies.